Norwegian Cruise Line announced that it is investing more than $250 million in “Norwegian NEXT,” a program focused on bringing “new enhancements, experiences and transformations” across the fleet, with the goal of elevating the guest experience and building on the success of the line’s two new ships: Norwegian Breakaway and Norwegian Getaway. Norwegian NEXT encompasses ship revitalizations, dining enhancements, new experiences in entertainment and guest activities, along with innovations in technology, new tropical destinations and the line’s continued commitment to the environment. Through 2015, the company has plans to revitalize a number of vessels, including Norwegian Jewel, which just re-entered service following dry dock, along with Norwegian Pearl, Norwegian Sky and Norwegian Spirit, which were also recently refurbished. Norwegian reinvented the dining experience at sea with the line’s Freestyle Dining concept, which it is taking to the NEXT level with the introduction of new menus in complimentary dining rooms and Garden Cafes that offer more variety and choice, including numerous new dishes crafted by expert chefs using the finest ingredients. New food and beverage venues are also being introduced across the fleet. Norwegian Jewel is the first to be retrofitted with the popular, complimentary dining venue, O’Sheehan’s Neighborhood Bar & Grill. The line is also adding the Sugarcane Mojito Bar, first introduced on Norwegian Getaway, to Norwegian Jewel, adjacent to the new location of the Moderno Churrascaria restaurant. In addition, treats from the wildly popular Carlo’s Bake Shop by Buddy Valastro, star of TLC’s Cake Boss and Next Great Baker, will be featured on all ships. Along with dining, Norwegian is also making enhancements to its beverage program. A partnership with the world-renowned Michael Mondavi Family has already introduced a new wine menu across the fleet and the family is curating wine concepts for Norwegian’s upcoming new ships. A new destination-based handcrafted beverage program, developed in partnership with James Beard Award-nominated mixologist Gabriel Orta of Miami-based Bar Lab Cocktails, is bringing guests seasonal specialty cocktails with a local twist. There will also be further fleet wide beverage training of bartenders, wine stewards and restaurant managers, providing guests with an even more knowledgeable staff to further enhance the dining experience onboard. Norwegian is an innovator in entertainment and there are a wide range of new guest activities that will be introduced across the fleet. The line’s exciting new H2GLOW Party, first introduced on Norwegian Breakaway and Norwegian Getaway, will also be rolled out fleet wide. Speaking to the quality of entertainment on board, the line is producing a series of new shows at its recently opened 45,000 square foot rehearsal facility, Norwegian Creative Studios, in Tampa, Florida. From soaring acrobats in “Elements,” to the 15-foot revolving showgirl staircase in “Paradis” to rocking out with the full rock band in “Rock of Ages,” Norwegian’s award-winning entertainment will be customized for every ship and itinerary with line-ups that will constantly stay fresh. With a focus on family, Norwegian’s five ships that feature exclusive Nickelodeon entertainment will offer new activities, dining experiences, and more ways to interact with Nickelodeon favorites like SpongeBob SquarePants. The line is focused on introducing advanced technologies and innovations that bring more freedom and flexibility to its guests’ cruise vacation from start to finish. Enhanced pre-cruise planning experiences give guests the opportunity to easily design their vacation. Once on board, there is wireless internet access from bow to stern along with interactive digital displays that are being added fleet wide. These touch screen signs will allow guests to order specialty items, get directions and reserve dining and shore excursions simply with a scan of their stateroom key. Guests can also take advantage of Norwegian’s groundbreaking iConcierge mobile application to manage their cruise experience and stay in touch with fellow cruisers and family at home. 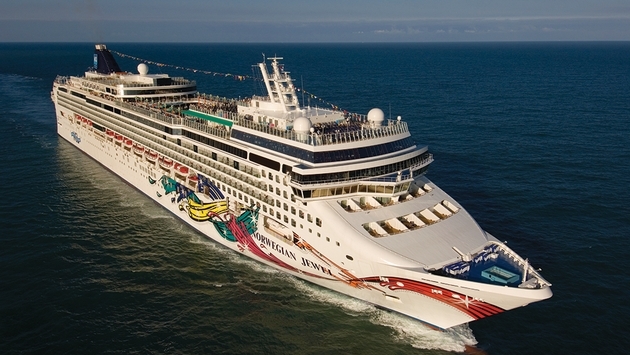 The line is also making a substantial effort to reduce its impact on the environment through its Eco-Smart Cruising programs and will install exhaust gas scrubbers on six ships, in addition to those that are already being fitted on Pride of America and the company’s two new builds, Norwegian Escape and Norwegian Bliss. Enhancements continue on the line’s private island in the Bahamas, Great Stirrup Cay, with the opening of the Bacardi Bar. 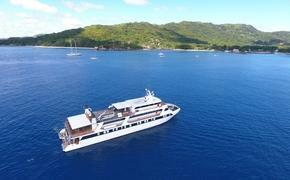 In addition, the line is developing a new eco-friendly cruise destination, Harvest Caye, in southern Belize. The 75-acre experience is planned to open in fall 2015 and will offer guests the option to take shore excursions on the mainland or enjoy the authentic shopping village, water sports or relaxing beach area on the island. With Norwegian NEXT, the line is demonstrating its commitment to innovation and elevating the guest experience over the next two years and beyond. To learn more about Norwegian NEXT, visit www.ncl.com/next.